Few of us buy smartphones based purely on specs, but the Intel Atom-powered handset Lenovo debuted at CES 2013 could put even the latest quad-core Snapdragon benchmarks to shame. 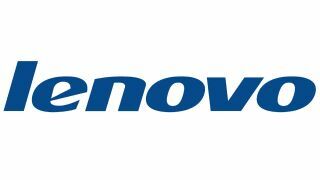 PhoneArena reported on Friday that Lenovo's forthcoming IdeaPhone K900 might establish a new bar for smartphone processors, judging from impressive benchmarks leaked to the internet. Powered by a 2GHz dual-core Intel Atom processor, the IdeaPhone scored upwards of 27,000 points on the AnTuTu benchmark, leaving competitors like the HTC Droid DNA in the dust with a mere 14,000 average. HTC's device is powered by the quad-core Snapdragon S4 Pro, but Lenovo's benchmark also eclipses the Samsung Galaxy Note 2 with a 1.6GHz Exynos 4412 processor. It remains to be seen how Samsung's next-generation Exynos 5 Octa processor will fare against the dual-core Intel Atom, but the chip has yet to wind up in any currently announced smartphone or tablet. The report is quick to note there's always a chance the Lenovo IdeaPhone K900 benchmarks are a fake - and competitors are likely hoping that's the case. Assuming these AnTuTu benchmarks are for real, the Lenovo IdeaPhone K900 could impress even further when the handset is out of testing and finally released with an Android build optimized for its powerful engine.